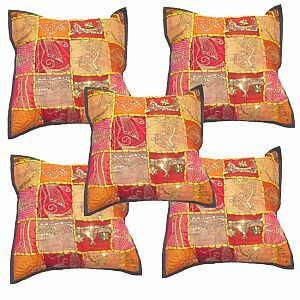 Barmer Accents brings to you a wholesale lot of our hottest selling assorted cushion covers, pillows, throws. 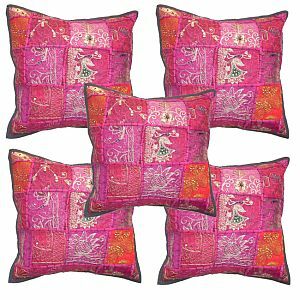 Available in size 16" by 16" this cushion covers is available in the incredible Traditional of India, in paisley, floral and tribal motifs and borders. this fresh made lot will be a great introduction to Barmer Accents for your store, boutique or studio. wholesale lots of assorted mix designs of Cotton Cushion Covers / Pillow Cases. 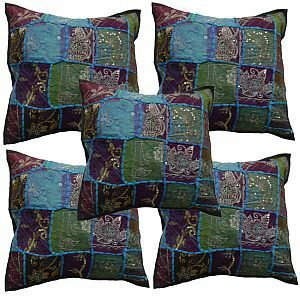 These wholesale lots of hand work Cushion Covers, all in various ethnic Indian tribal embroidered hand patch work, mirror work, colors and designs, is a must to complete your collection. Description of Lot: With more than 100 different designs available , we put in maximum colors same and similar to the pictures, in a wholesale lot of 25 pcs. 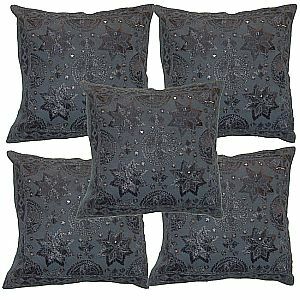 Description of Work: An Attractive Design & Decorative Embroidery Cushions Pillow Cover Set is made using Cotton fabric. 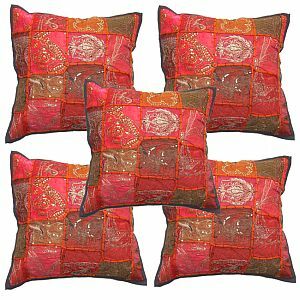 This Lovely cushion cover it Contain Silk Thread Floral Embroidery & Creative Mirrors work. Beautiful traditional cushion Covers set add glamour to the ambiance of the room and make home and offices look perfect and beautiful.